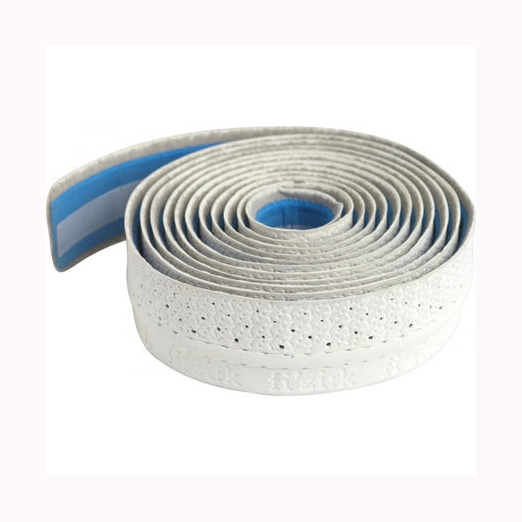 Microtex microfible is used to create bar tape that is soft, breathable, stretch resistant and extremely comfortable under your hands. Brighten up your bars by choosing from a range of attractive colours. Great price and very comfortable cushioning in the bar tape . Nice solid tape but boring tape. I feel like I'm handling a tennis racket when I'm on my bike. Not the easiest to install because it doesn't stretch much. I've always used cork tape and this is the first time I use a synthetic tape like this one. It's thicker but not as soft. I'm not sure I'm gonna stick with this for long. Much better than my usual cork bar tape. The Fizik tape feels good quality and comfortable. Easy to wrap. Would highly recommend. This is a great bar tape with durability and feel. This is brilliant light tape, easy to wrap and looks great. I have this tape on several bikes now. It looks good and lasts for years. It does get a bit slippy when wet but I can put up with that since it is so easy to clean... so long as you avoid the white! Great cushioning. Easy to remove and reworks during wrong wrapping. Great buy! Quality material with a reputation for durability. Easy to apply with just the right amounts of stick and stretch. Bought this tape in green to complete a bike build and I must say it looks fantastic, feels soft and is quite easy to apply if you take it carefully. The colour is a perfect match. Great service from Merlin Thank you. This is great bar tape. It is great with sweaty hands and is easy to clean. It is also very durable. Well designed back surface for installation, end plugs fit and look great and comfortable grip. Looks like an enduring product. I wanted to like this tape, but alas, I hate it. I find it way, way too cushy and squishy. 3 stars for quality of materials and that I could pull on it pretty hard without it tearing, but I just don't like the feel. So it's a preference thing. If you like your bars feeling like a foam roller then by all means try it. Easy to use and comfy. Will be using this again. Good, thick tape very comfy but gets a bit slippy while on turbo trainer and sweat gets on it. Great thick tape, good cusioning. Comfy on long rides. A little trickier to apply but just requires patience.